When it comes to Makeup Brushes you do not need to spend a ton of money for results. 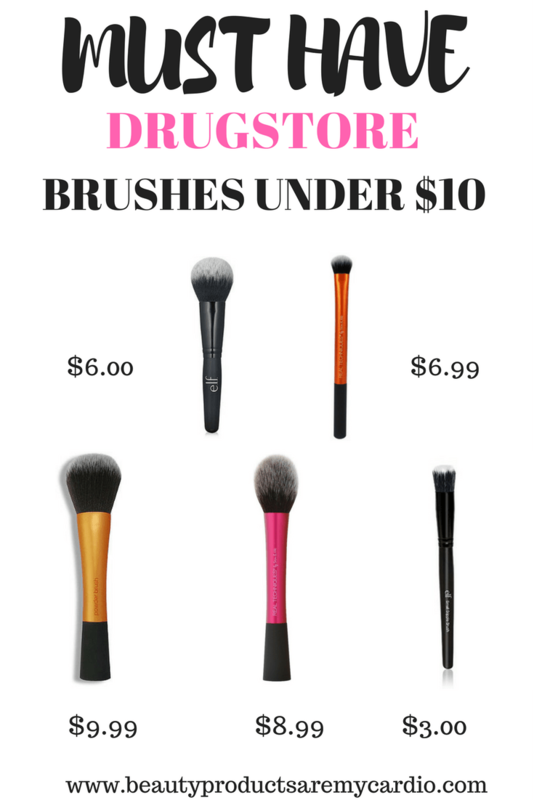 There are soooo many fabulous options at the Drugstore and for this post I want to talk about my 5 must have drugstore brushes! Not only are these affordable drugstore brushes but also all under $10 and can be found at Ulta Beauty & Target! Elf Cosmetics Flawless Face Brush – $6.00: This brush is absolutely perfect for powder foundation. 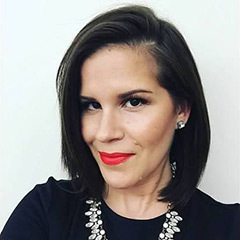 If you have been following me for a while you know I am a huge MAC Studio Fix Powder fan. Because the brush is a bit more dense it packs on so much product. Its so soft and is not too big either. The size is actually another great feature. Its compact enough to fit in a smaller makeup bag. Some days when I am doing my makeup on the train I will use it for my powder foundation, bronzer and then blush. Real Techniques Expert Concealer Brush – $6.99: New to my collection but only after a few uses I am in love. This brush actually gave me this idea for this Drugstore Brushes post lol! This blends out concealer without streaks and the bristles are nice and soft which is important for such a delicate area of the face. When it comes to pot concealers using a brush makes them so much easier but I have been using this for all of mine. Real Techniques Powder Brush – $9.99: When it comes to setting your whole face this brush will be your best friend. I do not always set my whole face but when I do this is the only brush I reach for. The size and shape allow product to sweep over the entire face effortlessly. I have also used this for powder foundation but found the Elf Face Brush to work better. However this can be a multi – tasker in your collection! Real Techniques Blush Brush – $8.99: Blush is my fav and when you have the right tools it is even better. With the shape you can get product perfect on the apple of your cheeks or can even use this as a bronzing brush to carve out your cheek bones. Another multi – tasker but I prefer this as a blush brush! Elf Cosmetics Small Stipple Brush – $3.00: The cheapest on this list yet can do so much! I have used this for liquid foundation, cream blush, cream bronzer and cream contour. This brush is fool proof and a must have! What are your must have drugstore brushes? Let me know in the comments below and don’t forget to share and pin!